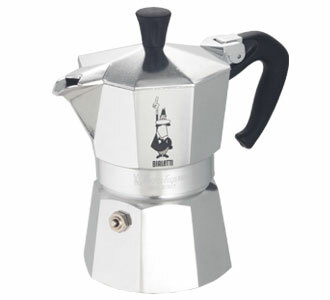 The Mocca pot can be seen in every Italian home and all around Europe. It's an icon of design that belongs to Museums such as the Science Museum in London. The reason why this small coffee pot is so popular is not only it's design but the quality of the espresso you can get with it. This stove top espresso coffee maker is based on the principle of preparing coffee with steam pressurized water. Alfonso Bialetti patented it for the first time in 1933 and his company Bialetti continues to produce it under the name of "Mocca Master". Come to DLK and indulge yourself with a Bialetti, we have many different sizes. Make yourself a perfect espresso in the comfort of your home. We will grind the beans for you. While at it, why not try out Solberg & Hansen's FAZENDA SERTÃOZINHO BRAZILIAN ESPRESSO?